Ontario PC Leader Doug Ford was booed and interrupted when he told members of Toronto's Somali community that he supports resurrecting a controversial police unit disbanded in 2017. Ontario Progressive Conservative Leader Doug Ford was booed and interrupted this weekend when he told members of Toronto's Somali community that he supports resurrecting a controversial police unit disbanded in 2017. 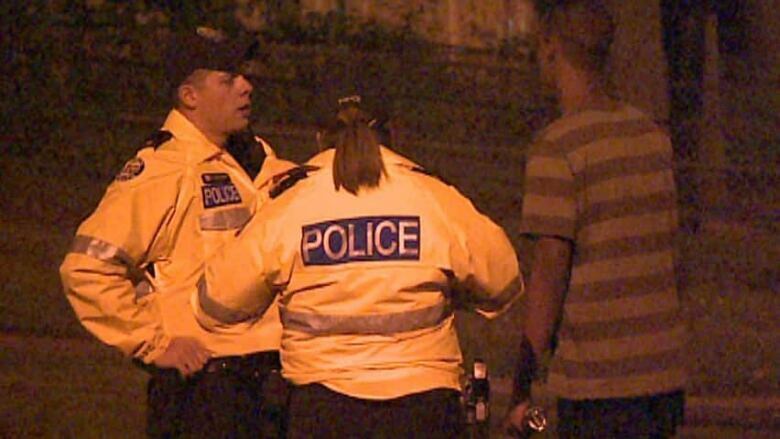 The Toronto Anti-Violence Intervention Strategy, known as TAVIS, was set up in 2006 to curb violence in high crime areas determined by police. Its formation came in the wake of the summer of 2005, the so-called "summer of the gun" in the city. TAVIS was disbanded in January 2017, according to police, two years after the province cut the unit's annual funding nearly in half. Critics of TAVIS say it increased tensions between police and residents of targeted neighbourhoods, many of them people of colour, because officers often used carding as a policing tool. The much-maligned practice is now prohibited in many circumstances under provincial law. At a meeting dedicated to ending violence in Etobicoke on Saturday, Ford said he supports the creation of a similar initiative. "I'm in favour, 100 per cent, as a premier, to get involved with the TAVIS program as well. 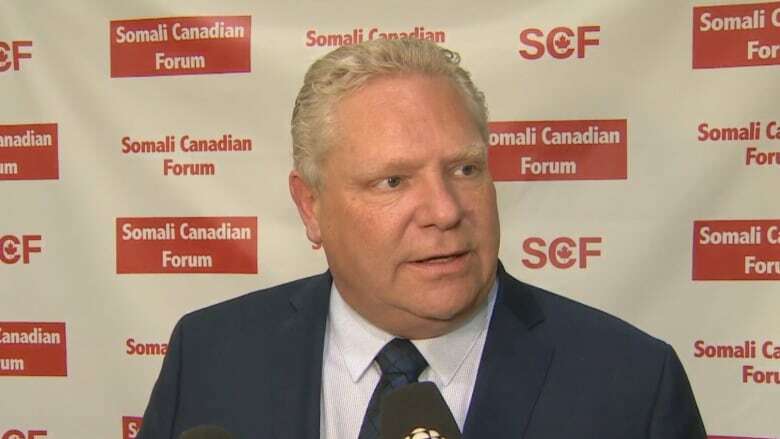 The TAVIS program was good, but then it was cut," Ford said on Saturday at the event organized by the Somali Canadian Forum. Ford added that the TAVIS program meant extra funding for community policing. One audience member immediately interjected. "I actually disagree. The TAVIS program actually has traumatized many community members," said Walied Khogali in a video posted to YouTube on Saturday. Khogali is a community organizer and activist in Toronto. "TAVIS was a racist police division. The amount of youth that I talked to, that told me about their experiences, Mr. Ford, you have to listen to these young men. There is no way we should go back to that," he said. Ford replied that he would put additional money into community policing and the unit could be renamed. In a scrum with reporters following his remarks on Saturday, Ford said he supports the kinds of services that were provided by a program like TAVIS. "As premier, I'll make sure we have a task force. I'll make sure that we have TAVIS involved in police community services that the Liberals cut," Ford said. Ford added that the issues of the Somali community in Etobicoke are very important to him. "There is no politician in this entire country that has more interaction with the Somali community than Doug Ford. I live here, right down the street." City Coun. Shelley Carroll sat on the Toronto Police Services Board when the controversy over carding reached fever pitch in 2014. According to her, carding and TAVIS "became linked" in the eyes of many residents. "It turned very quickly into what felt to them like, 'We're all being rounded up, based on whether or not we're known, often based on whether or not we'd been carded previously.' 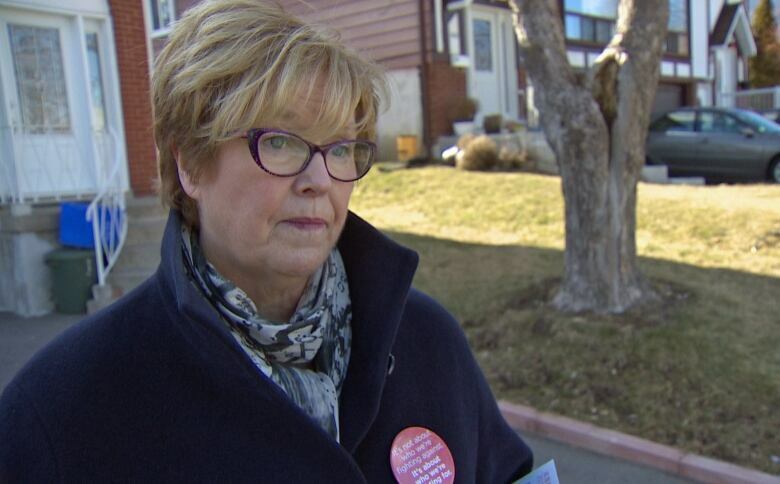 And it became a very toxic thing," said Carroll, who is running as a Liberal candidate in Don Valley North. She added that the very community Ford was addressing was instrumental in ending TAVIS. "They certainly want to see a reduction in guns, but TAVIS didn't actually result in that. TAVIS was about rounding people up, holding them for 48 hours and putting them back out on the street angrier than before," Carroll told CBC Toronto. On Sunday afternoon, Ford reiterated that the PCs will restore funding for anti-gang and anti-gun task forces in Toronto. "Gun violence is a serious problem that needs to be addressed in Toronto, and community policing plays an essential role in keeping our communities safe," Ford said. "I was proud to be the only provincial leader to attend the event hosted by the Somali-Canadian Forum. It was an opportunity to hear first-hand about the concerns of the community, listen to ideas, and to share some of my own," he continued. According to the Tory leader, he followed up with Khogali at the event and the two agreed that "nobody should ever feel unfairly targeted by the police because of race." 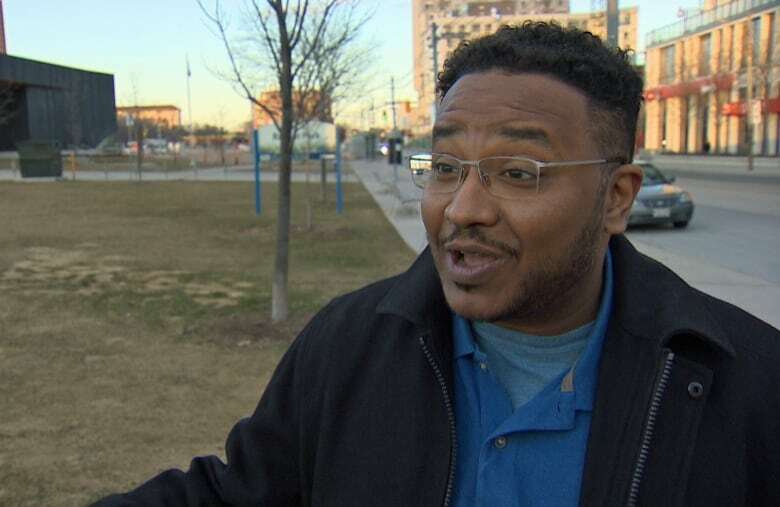 Khogali later told CBC News that was not true and that he simply invited Ford to meet with youth impacted by TAVIS, an invitation he says Ford accepted. 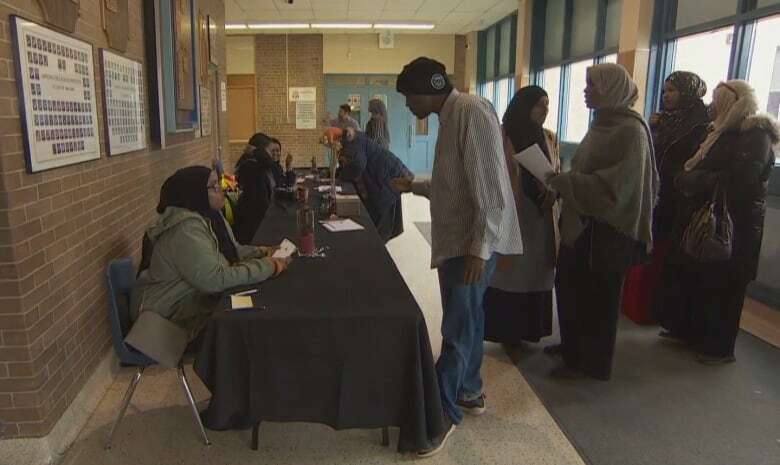 The Somali Canadian Forum, a coalition of mosques, community leaders and advocates, held the meeting with the aim of finding solutions to ongoing gun violence in the community. After months of consultations with residents hosted by the organization, one idea that has emerged is the formation of a task force that would be focused on youth violence. Hundreds, including Mayor John Tory, attended the meeting at Kipling Collegiate Institute.